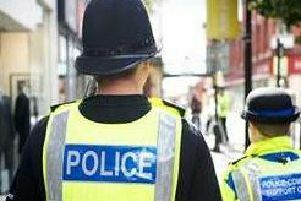 A man has been arrested in connection with a serious assault in Clitheroe. Officers were called by the Ambulance Service around 5-40am yesterday following reports a man had been found with serious injuries in Greenacre Street. The victim (65) was taken by ambulance to Royal Preston Hospital where he remains in a critical but stable condition. He is believed to have suffered a number of serious injuries including a fractured skull. Following extensive enquiries a 23-year-old man, from Clitheroe, has been arrested by police in connection with the offence. Detectives are keen to speak to anyone with information about the incident, in particular any witnesses who saw the victim following the assault. Det. Chief Insp. Gareth Willis, of Lancashire Police, said: "We are appealing for witnesses following a serious assault in Clitheroe. "The victim has suffered some serious injuries and my thoughts are with him and his family at this time. "After a review of CCTV, we believe the man was initially attacked at the junction with Greenacre Street and Whalley Road around 3-45am. "The attack has then continued in an alleyway off Greenacre Street. "Around 4am, the 65-year-old man has made his way out of the alleyway, crossed the road and waited against railings outside the Honda car garage. "During this time a number of people walk past him, unaware of his condition, before he called for help around 5.30am. "We are particularly keen to speak to anyone out walking or driving in the area around the time of the offence. "If you saw anything unusual, or suspicious, please get in touch." Anyone with information should contact police on 101 quoting log number 0115 of Friday, December 8th or independent charity Crimestoppers on 0800 555 111.